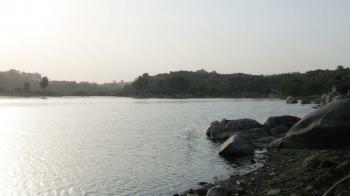 ‘Shamirpet Lake’ is also known as ‘Pedda Cheruvu’ . Near the Shamirpet Lake there is a park for visit known as Shamirpet Deer Park. It is also known as Jawahar Deer Park. The Jawahar Deer Park, located half a kilometer from the lake. It is home to different species of deer, peacocks and some beautiful birds. There are flowering plants, clearly defined paths and information on the birds that can be spotted is available. This deer park covers 80 acres of land. In this park there are 128 deer, 15 different species of snakes and birds. The park was started in 1971. The timing of the park is 9 Am to 5 PM in all days of week. Tourist can visit Shamirpet Lake all days of the week. It opens at all times. By Road : Shamirpet Lake is well connected to all major cities.